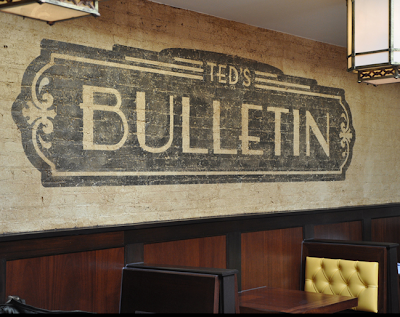 Inside the new Ted's Bulletin on Capitol Hill. • Ted's Bulletin from the owners of Matchbox has opened on Barracks Row, and I'm totally digging their vintage-inspired web site. 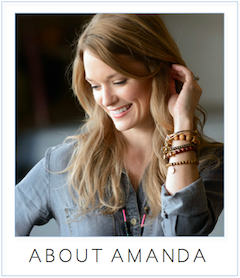 I also think I need a Heath almond milkshake, stat. • The patio at the Chesapeake Room (opening later this month) is looking lovely. Urban Daddy has photos. • Rumor has it chef Fabio Trabocchi (Fiamma, Maestro) may be taking over the former Le Paradou space near Sixth and Pennsylvania. • Prince of Petworth has a very early look inside Meridian Pint, opening soon in Columbia Heights. Had lunch at Ted's yesterday. Awesome interior. There's a counter with stools in front and booth dining in the rear. The interior decor reminds me of the old Swing's Coffee Shop and they actually serve Swings. Cool of them to support an oldtime local coffee roaster. I had a tasty charbroiled brisket burger that was moist and cooked to order; the minestrone was full of fresh squash and zuccini but was a little on the salty side. I'm going to head back and give their braised beef rib sandwich a try, along with one of their adult milkshakes. I've heard the Moca Kaluha and the White Russian are fantastic. They serve all-day breakfasts, but they haven't started doing carryout breakfasts yet. Just muffins, bagels, and a few prepared breakfast sandwiches. If you're stuck waiting for a table at Matchbox, I highly recommend checking Ted's out. They open at 7am. I dined at KORA recently and noticed on one of the cards I got from the restaurant that Marou was looking to re-open FARRAH OLIVIA in DC. Any word on where the location would be possibly?? I'm dying to know. Thanks for the great report, Monkeyrotica. And very cool detail about Swing's. Erik - All I know is he is looking for space. I will try to find out more!